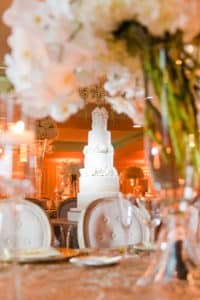 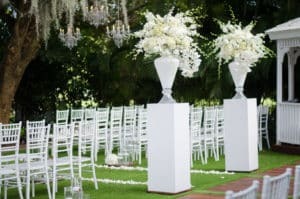 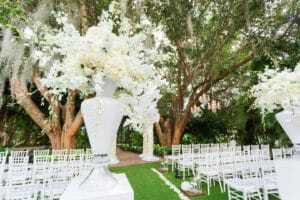 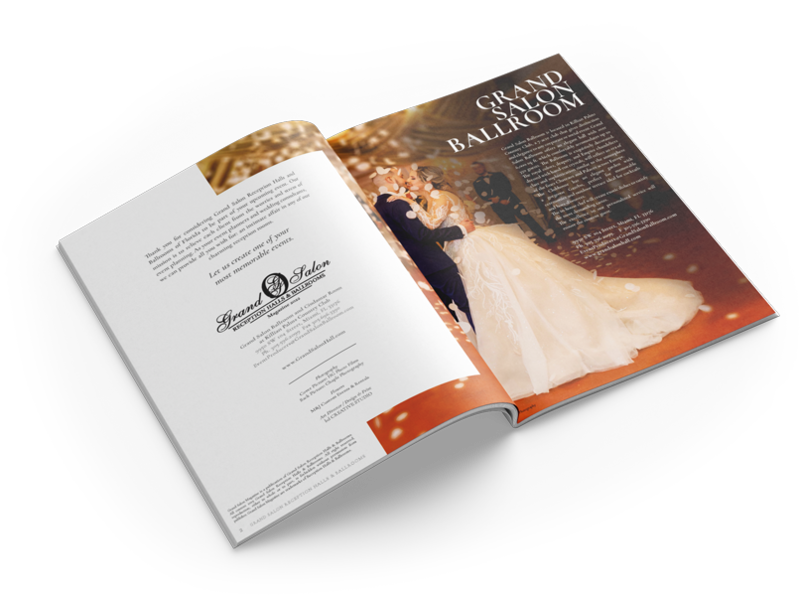 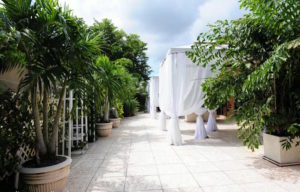 Select a venue where you can ideally have both the ceremony and reception. 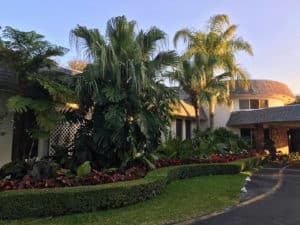 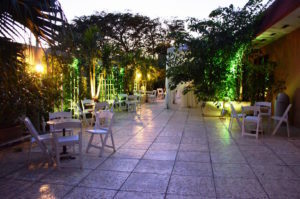 This will allow you and your guests to enjoy the location more and have minimal travel. 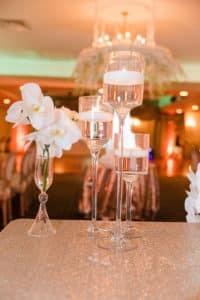 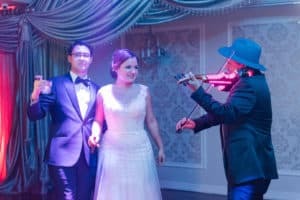 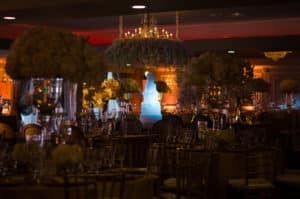 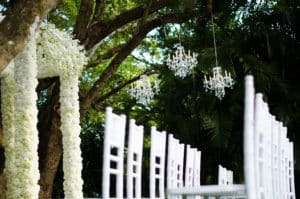 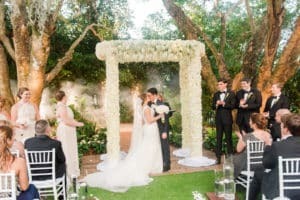 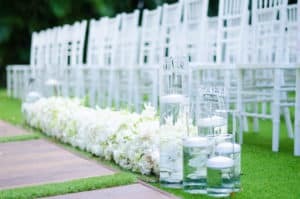 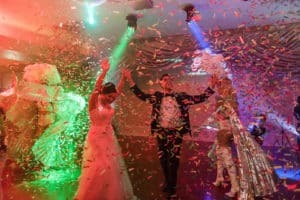 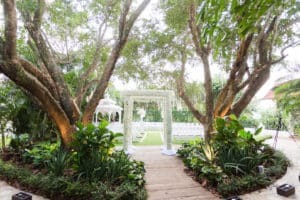 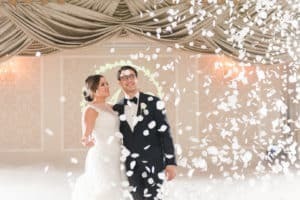 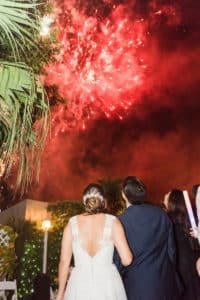 To ensure your ceremony is grand, set the tone with some amazing music, a unique décor, and fireworks to surprise guests when you share your first kiss. 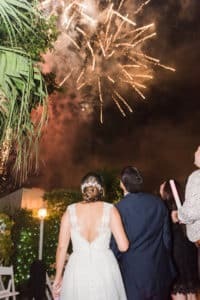 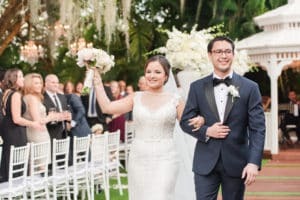 An outside cocktail hour is a great transition to the reception. 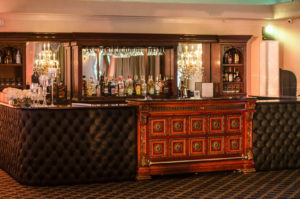 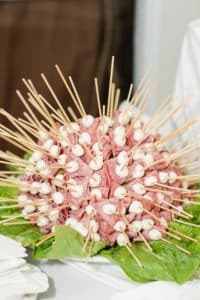 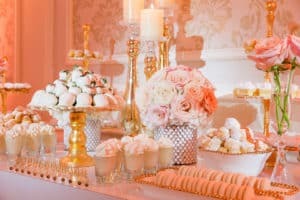 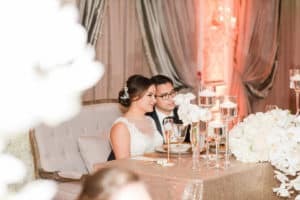 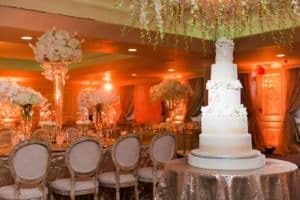 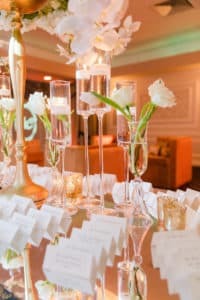 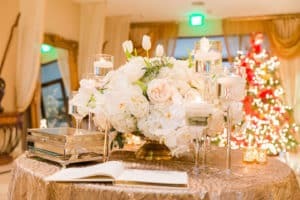 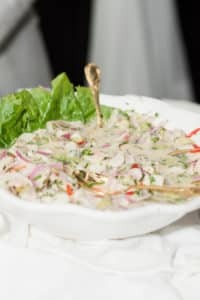 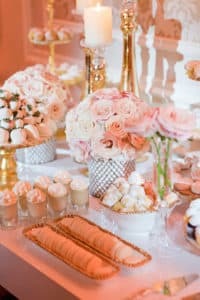 Guests will be offered gourmet appetizers while enjoying food displays and cocktails. 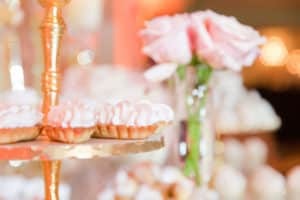 Pay attention to the details and make it unexpected. 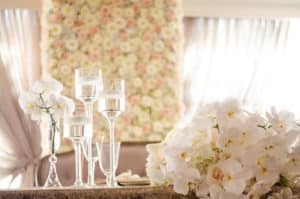 Choose different types of linen, chairs and tables to add another dimension to the room. 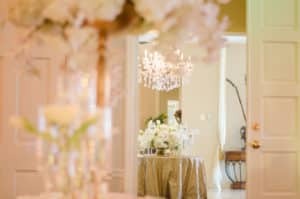 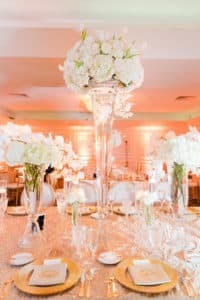 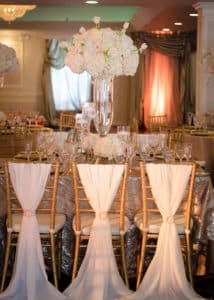 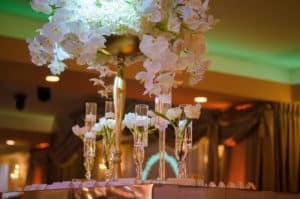 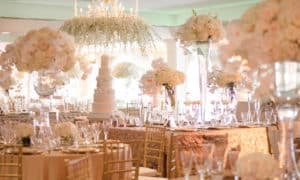 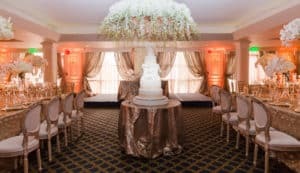 A statement floral chandeliers and a wall of flowers will take your reception to the next level. 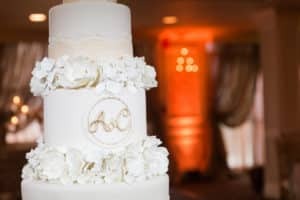 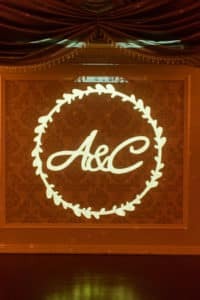 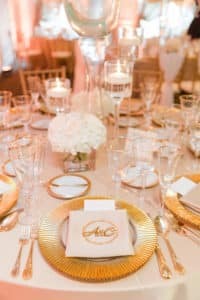 A customized monogram with the bride and groom’s initials is a fantastic idea! 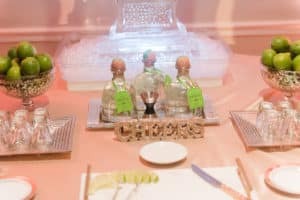 The design can also be used throughout the event—on the cake, table details, and even on the cigar labels if you use cigar rollers. 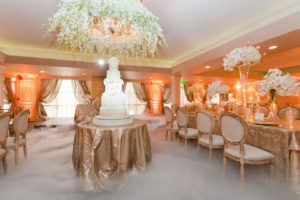 Lighting is an economic element that can change the room’s ambiance. 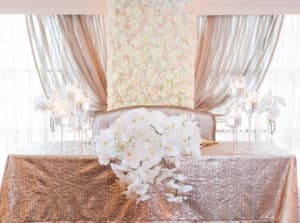 Depending on the color you choose, the room can easily change from warm to cool and modern. 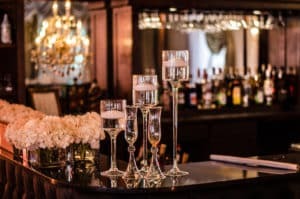 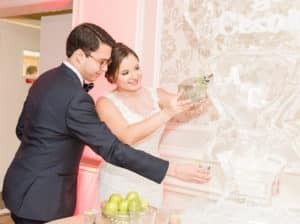 An open bar is a nice touch at any wedding, but offering an ice sculpture with a drink luge makes your event even more exciting. 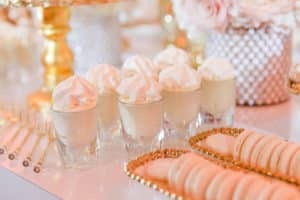 Everyone loves a sweet treat! 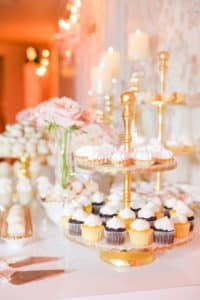 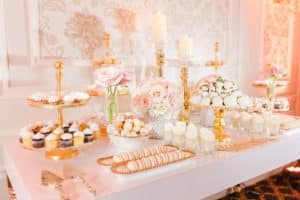 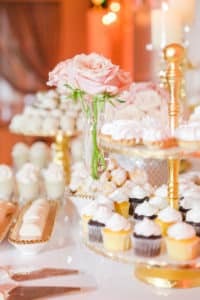 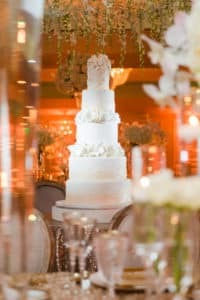 Adding a white Viennese dessert station display is not only a beautiful accent, but an added delight for guests. 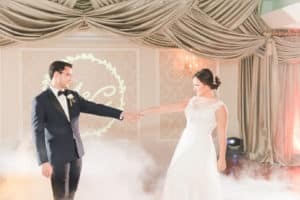 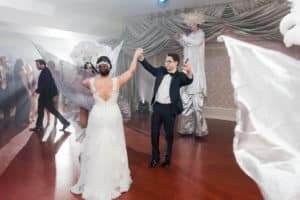 During your first dance as husband and wife, use some elements of surprise to engage the audience. 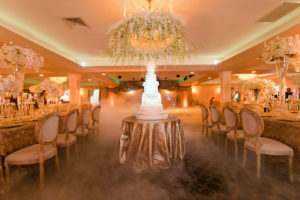 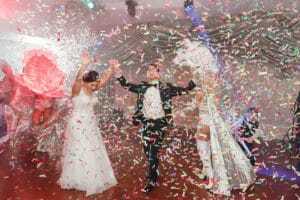 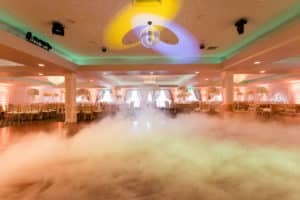 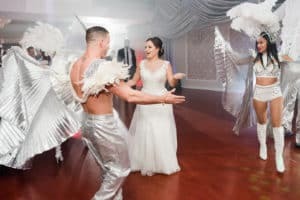 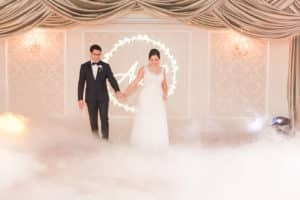 Dry ice and a cannon of rose petals will make your first dance something to remember. 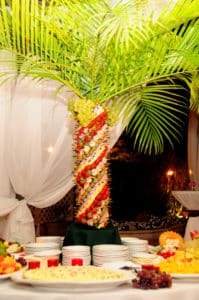 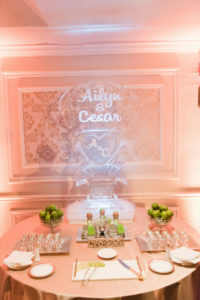 While the guests are enjoying dinner, you can include various elements to add entertainment. 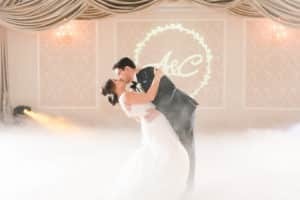 Having a video clip of the couple can be very moving. 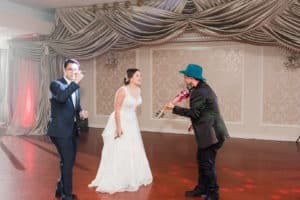 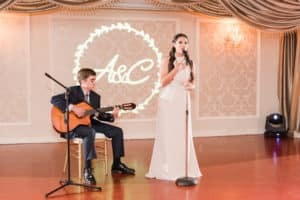 A live musician or a singer, whether professional or a talented family member, will also create an entertaining and touching moment. 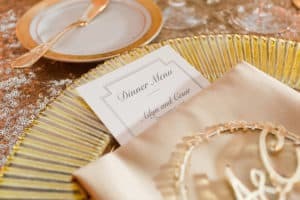 Make sure to include features that will help engage all guests. 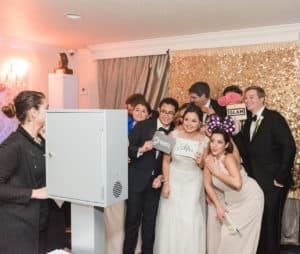 A photo booth is a fun element for everyone! 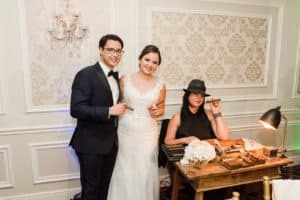 Cigar rollers can also be a unique, exclusive touch. 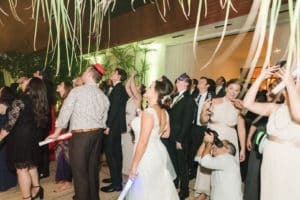 The Hora Loca is a perfect way to get the party going again and get everyone back on the dance floor. 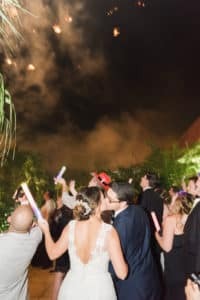 End the night with a bang! 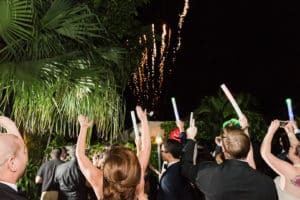 A firework show will be unexpected and will surprise all your guests.